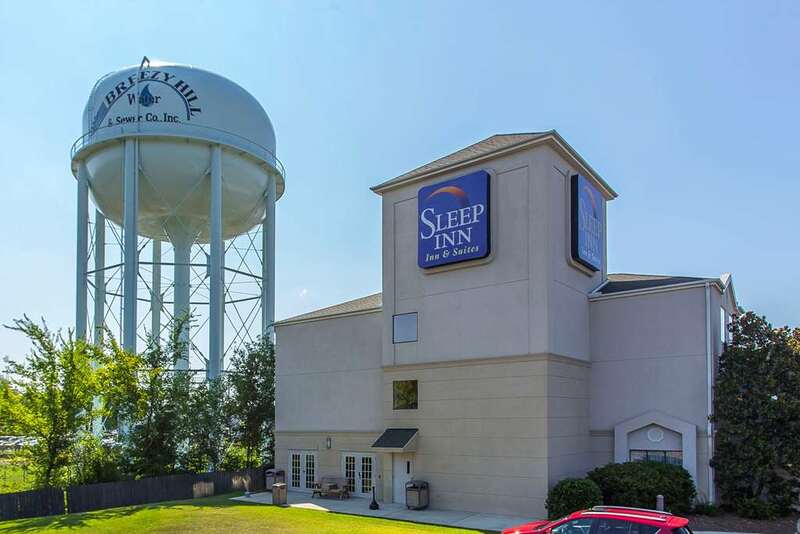 Dream better when you stay at our Sleep Inn and Suites hotel in North Augusta, SC. Our hotel is close to several local attractions, including The University of South Carolina Aiken, Fort Gordon, Medical College of Georgia, National Science Centers Fort Discovery and the Bush Field Airport. Each guest can enjoy our free deluxe continental breakfast, free high-speed internet access, exercise room and free weekday newspaper. Each guest room comes furnished with a microwave, refrigerator, hair dryer, coffee maker and TV. Sign up today for our Choice Privileges program and start earning rewards with your next stay. *Some amenities may require an additional cost.